With gift-giving season coming quickly upon us, millions of people the world over are going to be spending a lot of time cruising the Internet in search of the perfect gifts to give their loved ones. So after spending hours and hours scouring website after website for the right item, the last thing you want to get for your trouble is to have your financial or personal information stolen all because you weren’t being as safe as you should have been online. So to help ensure that this doesn’t happen to you, here are three tips for keeping your information safe while shopping online. To make some purchases online, certain businesses and websites will ask to get a lot of different information from you. But before you give all your secrets away, you’re going to want to ensure that the company is only using that information for relevant purposes and that they won’t be divulging it to others. Essentially, you want to be sure they’re going to protect your privacy. In order to do this, you’re going to want to read their terms and conditions, even if it’s long and boring. By doing this, the American Federal Trade Commission shares that you should be able to learn more about what they need, why they need it, how they’re going to protect it, and what will happen for doing business with them if you don’t share it. 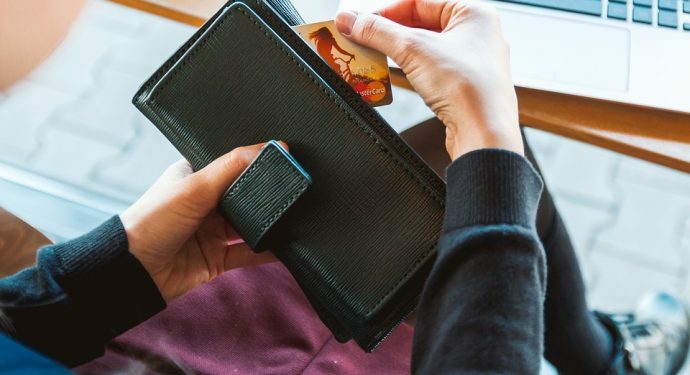 To give yourself added protection when buying things online, Rebecca Edwards, a contributor to SafeWise.com, recommends that you only use credit cards or certain payment services to make your online purchases. By choosing to use a credit card rather than a debit card, you’ll be protecting your actual bank account that’s linked with your debit card. Additionally, many credit card companies work hard to ensure that you’re not defrauded, which can help keep your information even more safe. Another thing you should be aware of when buying something online is where you’re getting your Internet access from. According to Marc Saltzman, a contributor to USA Today, sending your sensitive information over a public WiFi hotspot could make it vulnerable to attack from others using that network. So when you’re going to be giving away banking information or any other sensitive data, make sure you’re using a safe network to do so. This could include your own home network that’s password protected or encrypted or your cell phone’s data network, which has more security features than a public WiFi hotspot. If you make a lot of online purchases, consider using the tips mentioned above to help you keep your information safe.